The Nine Commentaries on the Communist Party were first published in November of 2004, followed quickly by an English translation. This series has led more than 115 million Chinese to renounce the communist party and its affiliated organizations, fostering an unprecedented peaceful movement for transformation and change in China. Here we republish the newly re-edited Nine Commentaries, linked to video and audio versions produced by our partner media, NTD Television and the SOH Radio Network. For the other Commentaries, please see the Table of Contents. —Eds. Ms. Zhang Fuzhen, about 38 years old, was an employee of Xianhe Park, Pingdu City, Shandong Province, China. She went to Beijing to appeal for Falun Gong in November 2000 and was later abducted by the authorities. According to people with knowledge of the case, the police tortured and humiliated Zhang Fuzhen, stripping her naked and shaving her whole head. They kept her tied to a bed with her four limbs stretched out, and she was forced to relieve herself on the bed. Ms. Yang Lirong, 34, was from Beimen Street, Dingzhou City, Baoding Prefecture, Hebei Province. Her family was often harassed and intimidated by the police because she practiced Falun Gong. On Feb. 8, 2002, after a nighttime police raid, Ms. Yang’s husband, a driver in the Bureau of Standards and Meteorology, was traumatized and afraid of losing his job. He could not withstand the tremendous pressure the authorities exerted on him. Early the next morning, taking advantage of the time when their elderly parents had stepped out of the house, he strangled his wife. In the Wanjia Forced Labor Camp in Heilongjiang Province, a woman who was about seven months pregnant was hung up from a beam. Both of her hands were tied with a coarse rope that was hung over a pulley attached to the beam. The stool that supported her was removed, and she was suspended in the air. The beam was 3 to 4 meters (10 to 12 feet) above the ground. The rope went through the pulley, and one end of the rope was held by the prison guards. When the guards pulled on the rope, she would be suspended in the air; as soon as the police let go of the rope, she would quickly fall to the ground. This pregnant woman suffered painful torture like this until she had a miscarriage. Even crueler was that her husband was forced to watch his wife endure the torture (From a Nov. 15, 2004, report on the Minghui website, an interview with Ms. Wang Yuzhi who was tortured for over 100 days in the Wanjia Forced Labor Camp). Since China began economic reforms in the late 1970s, the CCP has endeavored to build a positive, liberal image in the international community. However, the persecution of Falun Gong over the last [11 plus] years, which has been bloody, irrational, widespread, vehement, and brutal, has enabled the international community to once again witness the true face of the CCP and the biggest disgrace on the CCP’s human rights record. The general public in China, under the delusion that the CCP has been improving and progressing, has become used to blaming the low morality of the police for the atrocities committed by the Chinese legal system and law enforcement. However, the brutal, systematic persecution of Falun Gong is ubiquitous throughout every level of Chinese society and has completely burst the illusion of improved human rights. Many people are now pondering how such a bloody and outrageous persecution could have happened in China. The social order was stabilized after the chaos of the Cultural Revolution 20 years ago. Why has China entered another similar cycle of nightmarish events? Why is Falun Gong, which upholds the principles of Truthfulness, Compassion, and Tolerance and has been promulgated in over 60 countries worldwide, being persecuted only in China, not anywhere else in the world? In this persecution, what is the relationship between Jiang Zemin and the CCP? Jiang Zemin became the general secretary of the CCP through supporting the Tiananmen Square massacre. Jiang Zemin lacks both ability and moral integrity. Without a finely-tuned machine of violence like the CCP, which is based on slaughter and lies, he would never have been capable of launching this genocide, a genocide that is widespread throughout China and that even penetrates outside China. Similarly, the CCP would not have easily gone against the current of the historic trends and the environment created by the CCP’s recent economic reforms and attempts to connect to the world; only a self-willed dictator like Jiang Zemin who was determined to have his way could make this happen. The collusion and resonance between Jiang Zemin and the evil specter of the CCP have amplified the atrocities of the persecution to an unprecedented level. It is similar to how the resonance between the sound of a mountain-climber’s equipment on accumulated snow can cause an avalanche and bring about disastrous consequences. Jiang Zemin was born in the restless year of 1926. Just as the CCP conceals its bloody history, Jiang Zemin, in front of the Party and the Chinese people, has also covered up his history of being a traitor to China. In the year when Jiang Zemin was 17, the worldwide anti-fascist war was in full swing. While patriotic youths went one after another to the frontline to fight Japan and save China, Jiang Zemin chose to pursue higher education. In 1942, he attended the Central University in Nanjing established by the puppet regime of Wang Jingwei under the control of the Japanese. Investigations from various sources suggest the true reason was that Jiang Zemin’s biological father, Jiang Shijun, was once a high-ranking officer in the anti-China propaganda department of the Japanese army after Japan occupied Jiangsu Province during its invasion of China. Jiang Shijun was truly a traitor to China. In terms of betrayal and treachery, Jiang Zemin and the CCP are the same: They are so devoid of feelings and affection for the Chinese people that they recklessly dare to kill innocent people. In order to infiltrate the CCP to raise his own wealth and rank after the CCP won the civil war, Jiang Zemin fabricated the lie that he was adopted and raised by his uncle Jiang Shangqing, who had joined the CCP at an early age and was later shot dead by bandits. Because of his fabricated family history, he could be promoted from a low-ranking official to deputy minister of the Electronics Industry in only a few years’ time. Jiang’s promotion was not due to his ability but to personal connections and favors. In his tenure as the CCP Secretary of the City of Shanghai, Jiang Zemin spared no effort in currying favor with CCP magnates like Li Xiannian and Chen Yun, who came to Shanghai every year for the Spring Festival. Even as the party secretary of the City of Shanghai, he once stood and waited in the deep snow for several hours in order to deliver personally a birthday cake to Li Xiannian. The Tiananmen Square massacre on June 4, 1989, was another turning point in Jiang Zemin’s life. He became the general secretary of the CCP through suppressing a liberal newspaper, the World Economic Herald, putting the leader of the People’s Congress, Wan Li, under house arrest, and supporting the massacre. Since both Russia and China started to survey their common border in 1991, Jiang Zemin has fully acknowledged the results of the invasions of China by the Tsar and the former Soviet Union, and completely accepted all the unequal treaties between Russia and China since the Aigun Treaty. Chinese lands covering over 1 million square kilometers have thus been permanently forfeited by him. With Jiang Zemin’s personal history, pretending to be the orphan of a CCP martyr while in fact he was the eldest son of a Chinese traitor, he personally followed the CCP’s example of deceit. With his support of the June 4 massacre and suppression of democratic movements and religious beliefs, he has personally adopted the CCP’s practice of killing. Just as the CCP used to be under the Soviet Union’s command as a Far East branch of the Communist International, so Jiang Zemin now gives out land for free. He is practiced in the betrayal so characteristic of the CCP. Jiang Zemin and the CCP share similar disgraceful origins and history. Because of this, both share an acute sense of insecurity regarding their power. The history of the international communist movement was written with the blood of hundreds of millions of people. Nearly every communist country went through a process similar to the counter-revolutionary suppression by Stalin in the former Soviet Union. Millions or even tens of millions of innocent people were slaughtered. In the 1990s, the former Soviet Union dissolved, and Eastern Europe went through drastic changes. The communist bloc lost more than half of its territory overnight. The CCP learned from this lesson and realized that stopping suppression and allowing the right to free speech was the equivalent to seeking its own doom. If people were allowed to express themselves freely, how could the CCP cover up its bloody atrocities? How could it justify its deceptive ideology? If suppression was stopped and people were free of threats and fears, wouldn’t they dare to choose a lifestyle and a belief other than communism? Then, how would the Communist Party maintain the social basis essential to its survival? The CCP remains essentially the same regardless of any surface changes it might have made. 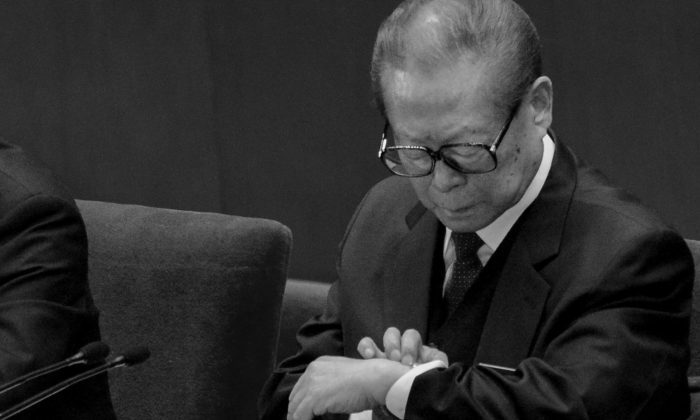 After the June 4 massacre, Jiang Zemin cried out to “eliminate any unstable factors in their embryonic stage.” Extremely afraid, he concluded that he would never give up lying to the public, and he would continue to suppress the people until they were completely immobilized. During this period, Falun Gong was introduced in China. At first, Falun Gong was regarded by many as a type of qigong with an especially powerful ability to keep people healthy and fit. Later, people gradually realized the essence of Falun Gong was not its five easy exercises. Instead, Falun Gong’s essence is to teach people to become better based upon the principles of truthfulness, compassion, and tolerance. Falun Gong promotes truthfulness, including telling the truth and doing truthful things. The CCP relies on lies to brainwash people. If everyone began telling the truth, the public would learn that the CCP grew by ingratiating itself with the Soviet Union, murdering, kidnapping, taking flight when convenient, planting opium, usurping the cause of fighting against the Japanese invasion, and so on. The CCP once claimed, “Nothing significant can be accomplished without lying.” After the CCP seized power, it initiated successive political movements and incurred countless bloody debts. Promoting truthfulness would thus spell certain doom to the CCP. Actually, the CCP treated not only its enemies like that; it has not treated its own members any better. The founders of the Communist Party, the supreme commanders and marshals, and even a chairman of the country were all mercilessly interrogated, brutally beaten, and miserably tortured by their own Party. The slaughter of the so-called “class enemies” was so brutal it could make one’s hair stand on end. If compassion had dominated society, the mass movements based upon vice, as initiated by the Communist Party, would have never been able to take place. After 1989, the CCP exchanged corruption for Party members’ loyalty. “The Communist Manifesto” states, “The history of all hitherto existing society is the history of class struggle.” This represents the Communist Party’s concept of history and the world. Falun Gong promotes searching inside oneself for one’s own shortcomings in the face of conflict. This introspective and self-restrained outlook is the complete opposite of the CCP’s philosophy of struggle and attack. Struggle has been the major means for the Communist Party to gain political power and survive. The Communist Party periodically initiated political movements to suppress certain groups of people in order to recharge itself and revive its revolutionary fighting spirit. The process was repeated with violence and lies in order to strengthen and renew people’s fear so as to maintain its power. From the ideological point of view, the philosophy that the Communist Party has relied on for its survival is completely opposite to what Falun Gong teaches. People who understand the truth are fearless. Christianity was persecuted for nearly 300 years. Numerous Christians were beheaded, burned to death, drowned, or even fed to lions, but the Christians did not give up their belief. When Buddhism experienced the Dharma tribulation in history, Buddhists also behaved faithfully in a similar manner. The atheists’ propaganda aims to make people believe there is no heaven or hell and no karmic retribution, so that people would no longer be restrained by their conscience. Instead, they would focus on wealth and comfort as being the reality of this world. The weaknesses in human nature can then be manipulated, and intimidation and temptation can be used to fully control people. However, those with strong beliefs are able to see through life and death. The illusions of the secular world do not move them. They take the temptations of the earthly world and the threats to their lives lightly, thus rendering the Communist Party feeble in any efforts to manipulate them. Li Xiannian (1902–1992) was a former president of the PRC and president of the People’s Political Consultative Conference. Chen Yun (1905–1995) was one of the most influential leaders of Communist China. Chen was a Politburo Standing Committee member for decades and was chairman of the Central Advisory Committee from 1987 to 1992. “Qigong” is a generic name in Chinese for energy exercises. There are many schools of qigong, most of which are rooted in traditional spiritual beliefs. Falun Gong is a form of qigong.